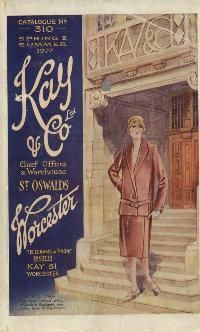 The Kays Heritage Group was formed in May 2000 to enable the rich and varied history of the well known mail-order company, Kay & Co. Ltd, to be preserved for posterity. We are always interested to learn about the people who were employed by the company, in whatever capacity, or were their customers (or Agents, as they were known). It is the social history as well as the documentation of the company’s history through photographs, letters and memories from those who have them, that the Heritage Group seeks to gather and preserve.